In those cases, permanently redirect the old URL into a new one is necessary to make your site more well-structured and perform good in SEO as well as look good in customers’ eyes. This guide is gonna walk you through how to create URL redirect in Magento 1 & 2 via Magento backend and using functions. In your Magento backend, go to Catalog > URL Rewrite Management. Magento allows you to create URL rewrite for products, categories, and custom URLs. Select which type of URL you want to rewrite from the dropdown list. If you select For category or For product, you will need to select a specific category or product whose URL you want to redirect. The URL Rewrite Information fields will show up for you to fill in. Type: this is Custom by default. 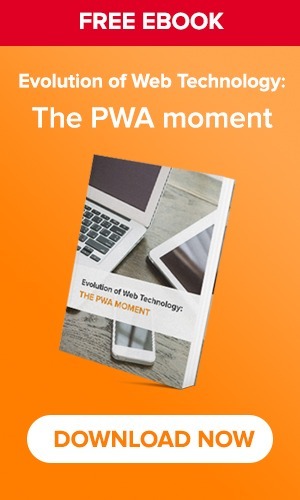 Request Path: Enter the URL of the page to be redirected (the old URL), without the domain name. For example, if you want to redirect the URL https://www.example.com/test/old.html, you only need to enter “test/old.html”. Redirect: Select Permanent (301). Unless you really only want to redirect a URL for a short period of time, you should always choose 301 redirect. It’s good for SEO. Description: You can note down the purpose of the rewrite. When you’ve done, click Save. Go to System > Index Management. Check the box at Catalog URL Rewrites. Set the Actions control to “Reindex Data,” and click the Submit button. In your Magento 2 backend, go to Marketing > SEO & Search > URL Rewrites. Magento allows you to create URL rewrite for products, categories, CMS pages, and custom URLs. Select which type of URL you want to rewrite from the dropdown list. If you select For category or For product or For CMS page, you will need to select a specific category or product or CMS page whose URL you want to redirect. 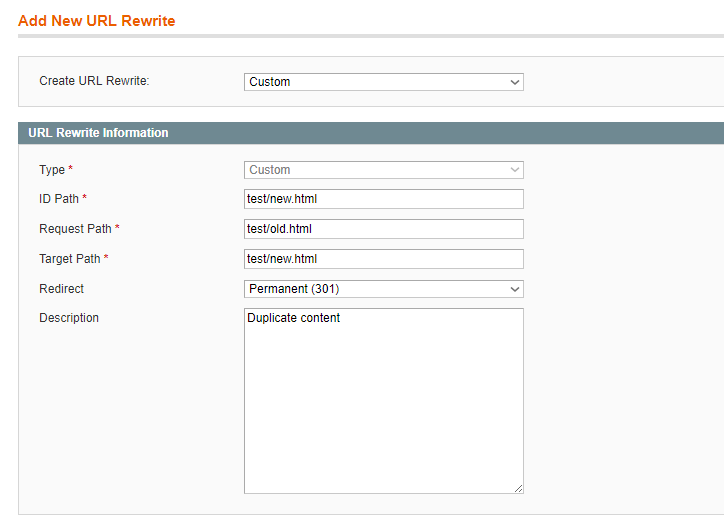 Store: Select the specific view where the rewrite applies. Redirect Type: Select Permanent (301). Unless you really only want to redirect a URL for a short period of time, you should always choose 301 redirect. It’s good for SEO. The redirect functions are available in Mage_Core_Controller_Varien_Action class. Why and How to add Canonical URL Magento instead of 301s or 302s? A knowledge craver who always strive to be wiser everyday. Magento 2 vs Shopify: Which Is the Best to Choose? What Is “Magento Drop Shipping” and How to Set It Up? SimiCart is the leading mobile commerce solution for Magento. 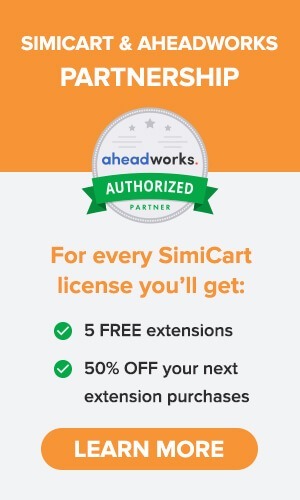 SimiCart has been specialized in mobile field for over 5 years, serving 1000+ customers worldwide. © 2019 SimiCart. All Rights Reserved.